Press Release – Belmopan, Belize; April 3, 2017 – The Caribbean Community Climate Change Centre (CCCCC) is organizing a regional climate change workshop at the Knutsford Court Hotel in Kingston, Jamaica from April 3 – 5, 2017. The IMPACT Regional Inception Workshop marks the launch of a four (4) year project in the Caribbean that will support Small Island Developing States (SIDS) and Least Developed Countries (LDCs) around the world. IMPACT will strengthen the connections between the scientific assessments of climate impacts, vulnerability, adaptation and mitigation to help access the financial and technical resources required to implement concrete projects. IMPACT is being implemented by Climate Analytics gGmbh. Collaborating institutions include Climate Analytics Lome (Togo), Charles and Associates (Grenada), the Secretariat of the Pacific Environment Programme (SPREP), the Potsdam Institute for Climate (PIK), and the CCCCC. The project is funded by the Government of the Federal Republic of Germany. The project will also enhance the capacity of CARICOM Member States and other SIDS and LDCs to engage effectively in and contribute substantially to the international climate change negotiations under the United Nations and in particular to the elaboration of the mechanisms and processes established under the Paris Agreement. SIDS and LDCs played a pivotal role in the negotiation of the Paris Agreement in 2015 and ensured that the interests of the Caribbean were secured in the Agreement. 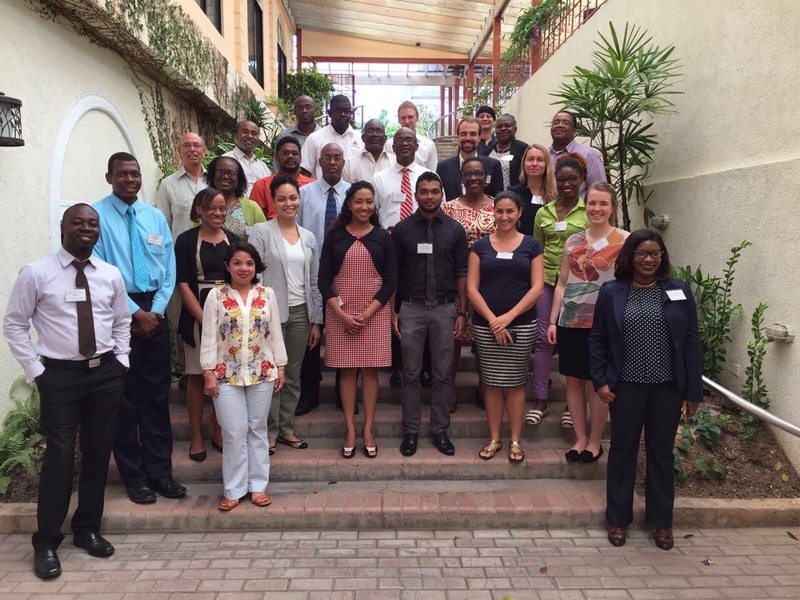 Participants in the IMPACT Regional Inception Workshop include representatives of the climate change offices of the CARICOM Member States, the Climate Studies Group of the University of the West Indies, Mona, the University of the Bahamas, Charles and Associates of Grenada, the CCCCC and Climate Analytics.